I think we need something to cheer us up after yesterday, so get a load of this pup. Those big feets and thick but ever-so-stub-tacular legs. The huge-mongous ears. The raccoon mask. And the sheer roundness of this dog! A sausage in a fluffy blanket fresh out of the dryer. That tennis ball? That is a stolen tennis ball. 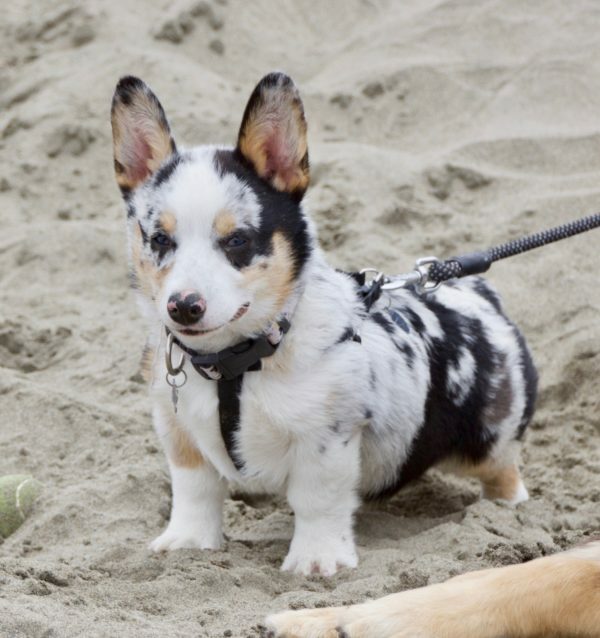 This entry was posted in Dog of the Day and tagged CorgiCon, Mixed Breed, Ocean Beach, Pembroke Welsh Corgi. Bookmark the permalink.